DS Series is a small and lightweight strobe. 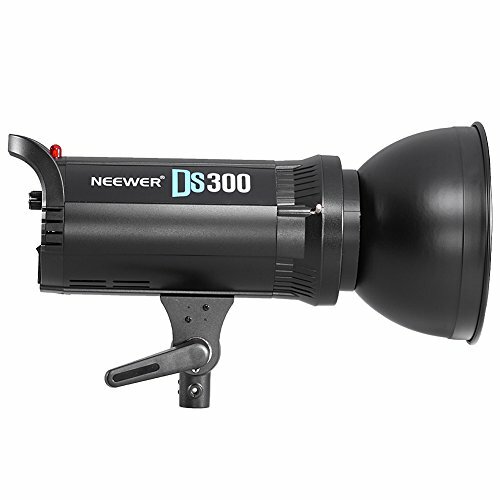 With Bowens-style mount, it can add almost any studio flash accessories on the flash head. Using an optional remote control FT-16, you can wirelessly adjust the power level, turn the modeling lamp and buzzer sound on or off, and trigger the flash. Suitable for ecommerce product photography, headshots and lifestyle photography. In large studio shooting, it can function as high light, background light or hair light. Adjusts from 5. to 8. in .1 increments (1/32-1/1). Steplessly adjustable 15W modeling lamp.